The data presented all come from the survey on doctoral schools conducted by the MENESR, apart from the data in chart 39.03. In this chart, the information on the origin of PhD students is based on individual data collected by the Student Monitoring Information System (SISE), which counts enrolments at universities and similar institutions (major institutions, CUFR (university teaching and research centres), Communities of Universities and Institutions), engineering schools and business and management schools. These data are available for 90% of PhD students. Theses that form an integral part of the preparation for State diplomas of Doctor of Medicine, Pharmacy or Dentistry are not taken into account. At the start of the 2014-15 academic year, 75,600 students were enrolled on a PhD programme. In 2014, 14,000 PhDs were awarded. The number of doctoral students enrolled has been falling since 2009, whereas the number of PhDs awarded increased up to 2012 then fell during 2013 and 2014. Over half of students enrolled for the first time for a university PhD in France were not enrolled in France the previous year in a university course leading to a qualification. The survey on doctoral schools carried out by the MENESR counted 75,600 students enrolled on a PhD programme at the start of the 2014-15 academic year. This number was 7% less than in the academic year 2009-10. The fall in the number of PhD students mainly concerns social sciences (law, economics, management, sociology, anthropology, etc.) and human sciences and humanities (literature, languages, arts, history, Physical Education and Sports Science and Techniques etc.) ( -13% between 2009 and 2014). It was considerably less marked in scientific disciplines ( -1%) (chart 39.01). The fall in the number of PhD students, the majority of whom are enrolled at university, is essentially due to the decrease in initial enrolments on PhD programmes during this period (chart 39.02). Around 17,300 students enrolled on PhD programmes for the first time in the academic year 2014-15, which was 13% less than in 2009-10. This change affects virtually all scientific fields apart from physics ( +1% between 2009 and 2014) and biology, medicine and healthcare in which initial enrolments increased by 8% over the period. Only 37% of students enrolled on the first year of a PhD programme at university had been enrolled on a Master's course the previous year (table 39.04). Over half had not been enrolled at university (56%). These included students holding foreign degrees, students returning to their studies after a break of at least one year and non-university engineers. At the start of the 2014-15 academic year, 72% of doctoral students enrolled in their first year and whose financial situation was known received some form of funding for their thesis(table 39.05). 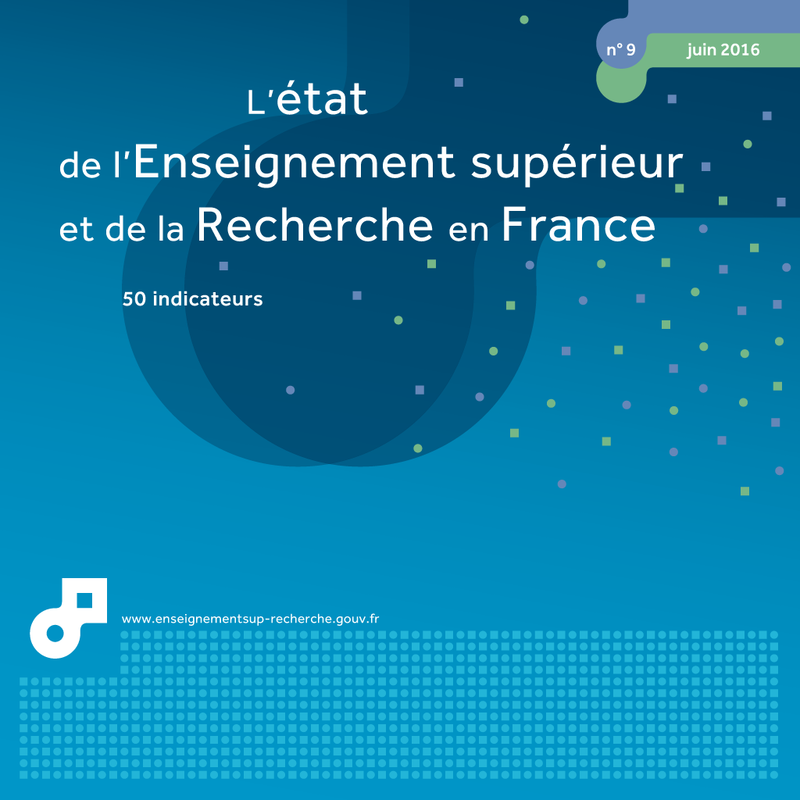 The majority of PhDs that were funded received public funding, such as a doctoral contract accredited by the French Ministry of Education, Higher Education and Research (MENESR) (32%), funding from a research body (11%) or from a local authority (8%). Industrial Agreements for Training through Research (CIFRE) represented 10% of funded PhDs and funding for foreign doctoral students represented 16%. In 2014, 14,400 PhDs were awarded. Two-thirds of PhDs covered scientific fields, 21% human sciences and humanities and 14% social sciences. The number of PhDs awarded annually increased between 2009 and 2012 then fell in 2013 and 2014. The number of PhDs awarded in 2014 however remained higher than the number of PhDs awarded in 2009 ( +7% between 2009 and 2014) (chart 39.03). The average length of theses, 49 months in 2012, is beginning to fall. The proportion of theses completed in less than 40 months increased from 35% to 41% between 2009 and 2014, whereas the number completed in 40 months to 6 years fell from 54% to 48%. The proportion of theses completed in more than 6 years remained stable (11%).